All whale-watch tours are led by certified marine naturalists who will provide their customers with interpretation of the humpback whale behaviours you will experience on your tour. For Hervey Bay's ultimate whale-watch adventure, go with the experts at Pacific Whale Foundation. It's the only whale-watch based on 30 years of whale research in Hervey Bay. Small groups mean plenty of room and 360 degree viewing for you to get that great photo. You’ll learn first-hand the latest whale facts and findings on your three hour eco-tour. All whale-watches are led by certified Marine Naturalists who provide expert interpretation of the amazing whale behaviours you’ll encounter. Sightings are guaranteed or you’ll receive a “Just a Fluke” coupon to go again free. Check-in Location: Great Sandy Straits Marina, Buccanear Drive. Departure Times: 7am, 11am, 3pm. Your ticket to adventure will help save whales! Known as the whale-watching capital of Australia, Hervey Bay in Queensland is a popular vacation destination easily accessible from Brisbane or Sydney. With its abundant wildlife, calm waters and beautiful coast, Hervey Bay is a nature lover’s paradise and an adventure of a lifetime. This whale watching tour is led by certified marine naturalists who provide expert interpretation of the amazing whale behaviors you'll encounter. As an exclusive, you'll also interact with an on-board whale researcher. 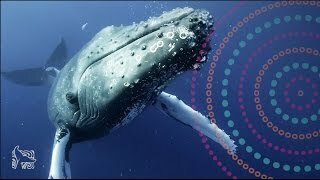 Listen to live whale songs with underwater hydrophones and learn the latest whale facts and findings. Drinks, snacks and souvenirs are all available on-board. You'll cruise in comfort on Hervey Bay's newest, state of the art vessel the Ocean Defender. Enjoy a fast, smooth ride with panoramic water-level views from forward-facing seats offering plenty of shade. On this small-group tour, there are excellent photo opportunities. The Ocean Defender is eco-friendly, fully licensed and follows all regulations for whale protection. Enjoy the knowledge that your ticket supports whale research, marine education and ocean conservation in Australia and around the world. Whale sightings are guaranteed or you will receive a free return ticket.